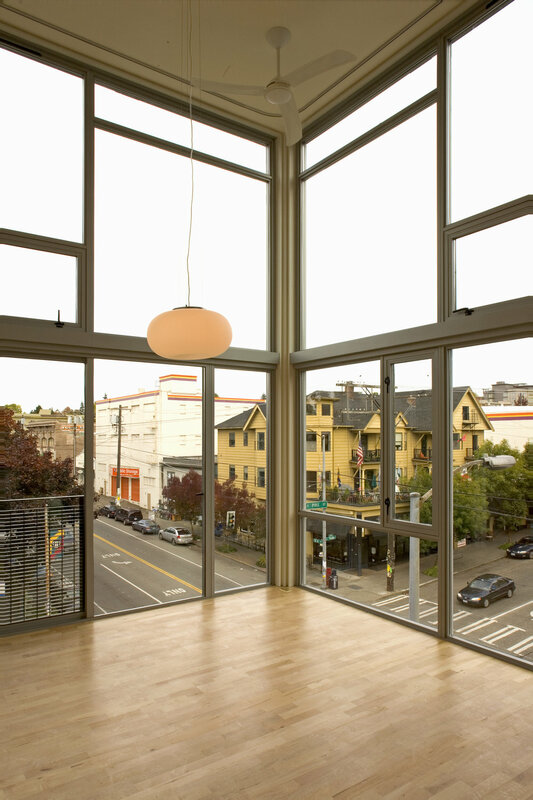 The Agnes is a dramatic mixed-use loft apartment building that combines a 15 foot tall "glass box" restaurant space at its base with 24 double-height open-plan living units above. Agnes Lofts is more than just an apartment building – it's a neighborhood, and any good neighborhood comes with amenities for the locals. You are sure to enjoy these fine establishments that reside in our community. Located across the courtyard, on the 4th floor of the Chophouse Row building. Agnes Lofts residential tenants receive their first three months free and then a 50% discount off the monthly floating desk membership. Located on the lower level of the Agnes Lofts building. Our residential tenants receive a $20 discount on Tier 1 & a $40 discount on Tier 2 audio recording services. Bai Tong operates on the street level of the Agnes Lofts building. Enjoy their delicious & authentic cuisine for lunch, dinner or happy hour. 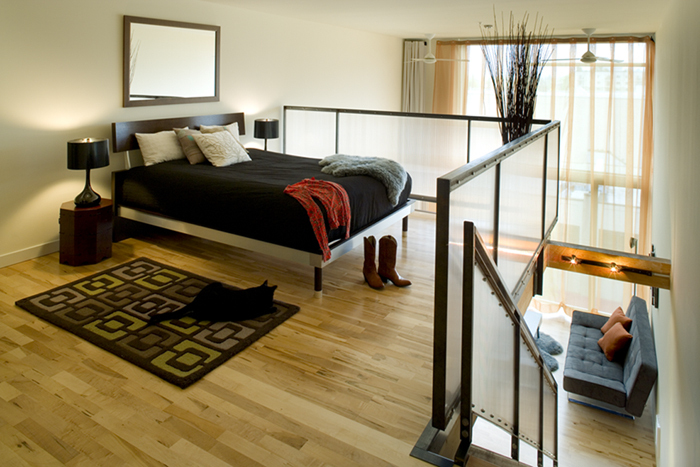 Agnes residential tenants receive a 10% discount! Join us for weekly and monthly events in the Chophouse Row courtyard. 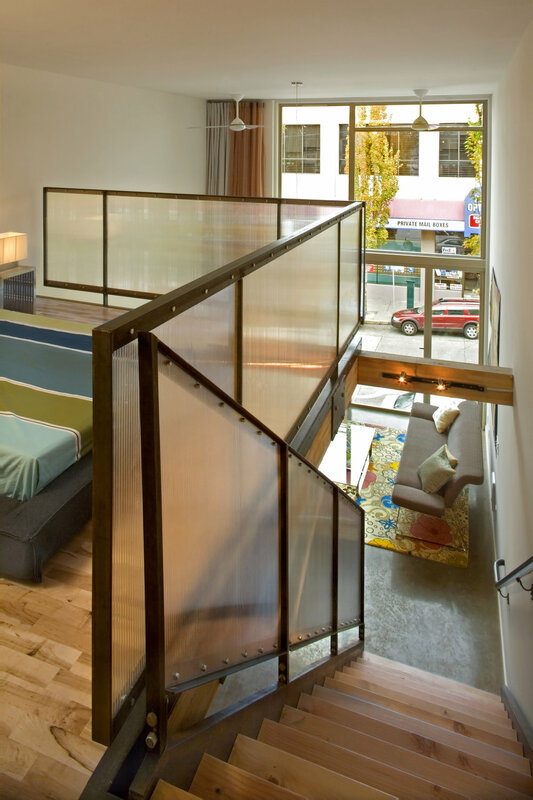 The Night Market, Capitol Hill Art Walk, Pop-Ups and so much more, just steps away! Play on the Hill, located in the Chophouse Row courtyard, provides a unique environment for dogs to hang out in during the day. They also offer boarding & dog walking services. Agnes Lofts tenants get 15% off their doggie daycare service. essensuals London is a new innovative salon concept from the highly acclaimed Toni&Guy UK brand providing the ultimate salon experience, specializing in cutting, coloring, and Keratin treatments. They are offering an ongoing 10% off all services to Agnes Lofts tenants. essensuals is located at 1156 11th avenue, between Madison and Union. Foundation CrossFit is only two doors down from the Agnes, below the Pacific Supply hardware store. They offer a variety of CrossFit and non-CrossFit classes, personal training, injury prevention and recovery, nutrition counseling, and more! Specifically for Agnes Lofts residents, they offer a 20% discount on either the introductory On-Ramp Course or the experienced Transfer Process Course. Living it up in Capitol Hill. Renowned eateries, vibrant nightlife and countless coffee shops are just steps away! Make this thriving neighborhood your home today. Plum Bistro, Osteria La Spiga, Pacific Supply Co, Plum Chopped, Foundation CrossFit, Sway and Cake, Knack, Good Weather Bikes & Café, The Scotch Pine, Cake Skincare, Play Doggie Daycare, The Cloud Room, Bar Ferdinand, Kurt Farm Shop, MOO-Young, Honed by Claire Kinder, Spirit in the Bottle, Marmite, Amandine Bakeshop, Petite Galette, Cloud Studios, Café Pettirosso & Retrofit Home.